Starting with a gut-wrenching plunge on the first trading day of the year, stocks have given investors one frightening day after another in recent weeks. It’s enough to shake the confidence of even the most cool-headed buy-and-hold investor. If only you could buy an insurance policy that would pay off if stocks go over a cliff. Actually, you can. By purchasing a type of stock option called a put, you can lock in the right to sell your shares at today’s price no matter how far prices fall. That’s just one of a number of ways to protect against losses, or to minimize them – and investors are wiseto know how each works. Weathering the storm is the most common risk-control strategy, since the broad market always eventually recovers from downturns. That’s why experts typically say investors should plan on holding their stocks and stock funds for at least five years. But although the broad market has a great record of recoveries, individual stocks and funds can be wiped out. That’s where the second-most common strategy comes in – diversification. “For those panicky clients, and anyone we meet with for that matter, the message is always the same – diversification among key asset classes and rebalancing are the ways to minimize market volatility,” says Betsy Vallone, partner in Essential Asset Management of Norwell, Massachusetts. Rebalancing means restoring the intended mix of assets after the price changes get the portfolio off target. Stocks tend to be among the riskiest of holdings, but tend to provide the biggest returns over time. Bonds are less risky and generally less generous, though not always. Cash is safe, but earns almost nothing. The basic idea is to have uncorrelated holdings, so that when some go down, others go up. Stocks in energy-producing companies, for example, are likely to fall when oil prices drop, as they have recently. But low fuel prices can be good for companies that use lots of energy. Professional traders constantly bet on these shifting factors, but that takes a lot of knowledge, effort and stomach for risk. Small investors are usually told to own a wide variety of stocks, so that some will do well while others are in trouble. This can be done quite easily by holding mutual funds that contain many stocks of different types. Other loss-control techniques are more complex, and although useful in times of high risk, they are often too expensive to employ all the time. Most work best with individual stocks, or with exchange-traded funds and index-style mutual funds such as those that track the Standard & Poor’s 500 index. Your broker can walk you through the steps. Purchasing puts. As mentioned, these are stock options that allow their owner to sell a set number of shares at a given price anytime over a period of days, weeks or months. If you bought a put to sell 100 shares of XYZ Corp. at $10 a share, you could sell for $10 anytime until the option expired, even if the price fell to $5, $2 or zero. You could then buy the shares back at a cheaper price, or sit on the cash until the smoke cleared. Your stocks would be bought by the person who sold you the put. Unfortunately, the “premium” you’d pay for this option could be sizable, and if you don’t exercise your option by the deadline you lose all you spent on the premium. Earlier this week, it cost nearly $650 to buy a single put contract, good until mid-March, on $18,500 worth of S&P 500 stocks, using an exchange-traded fund called SPDR S&P 500 Trust (ticker: SPY). While an option’s price changes with market conditions, it’s too expensive to insure an entire portfolio all the time. It would be cheaper, however, to buy partial insurance. If your stock were trading at $10, it would cost much less to buy a put with the right to sell at $8 than at $10. You could still lose $2 a share, but would be protected against an even deeper sell-off. “This is like very expensive insurance to cover the downside risk of your assets,” says Chase Hinderstein, wealth management specialist at The Wise Investor Group, a unit of Baird. Selling covered calls. The opposite of a put, a call is an option giving its owner the right to buy a block of shares at a set price for a given period. The person who sells a covered call owns the shares involved – is covered – and agrees to sell them if the owner of the call exercises his right to buy. The buyer pays the seller a premium. 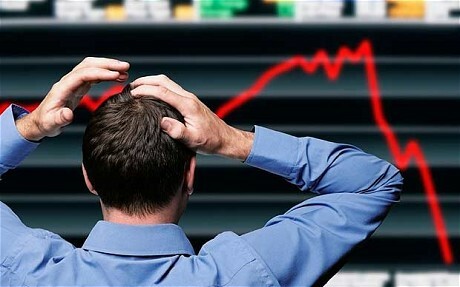 This technique doesn’t protect the call seller from loss if the share price falls. But the premium received helps offset some of that loss. It’s critical to be willing to sell at the strike price specified in the call, as you most likely will have to sell if the price rises above that level. “Covered calls are so simple that anyone can do them. They are proven to have better returns with less risk and volatility than the buy-and-hold strategy,” says Mike Scanlin, CEO of Born to Sell, a software firm specializing in covered calls. Use a stop-loss order. With this, you tell your broker to automatically sell certain shares if they fall to a set price, thus protecting you from deeper losses. 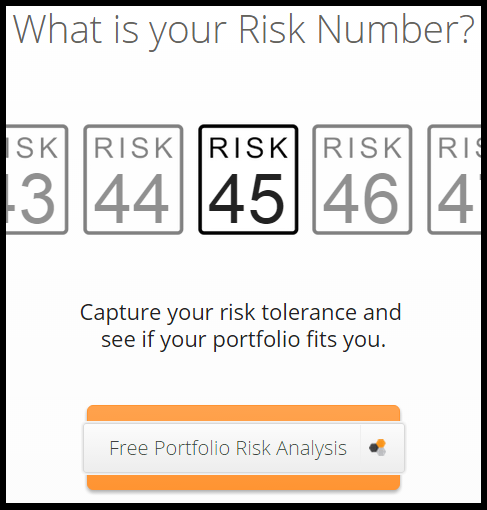 The risk: if there is no buyer at that price you might end up selling even lower. You can add a limit, so the shares are sold only at a given price or higher, but then you risk not selling at all if prices plunge. “For our clients with significant positions in a public company, we may set a stop order 5 percent to 10 percent below the current market price to reduce further declines,” Vallone says. Saving some “dry powder.” This refers to cash kept available for a good investing opportunity. If stocks fall, your cash can be used to buy some bargains, offering gains in a subsequent rebound. But because cash does not earn much, having too much can undermine returns when the market is going up. “We look at market drops as buying opportunities,” says P. Jeffrey Christakos, an investment expert at Westfield Wealth Management in Westfield, New Jersey, explaining that downturns are welcome if they are temporary. Dollar-cost averaging. Buying stocks or funds with a set amount of money every month or quarter helps you avoid the temptation to try to spot the market’s peaks and valleys, says Andrew R. Avellan, founder of Philadelphia Wealth Management Co. Also, a given sum, such as $500 a quarter, will buy more shares when prices are down, reducing your average cost per share in a holding accumulated over time. That will maximize your gains and minimize your losses. “When considering this strategy, investors should consider their ability to continue investing in times of market downturns,” Avellan says. That can be done by setting up automatic investments with a broker, a fund company or a workplace plan, such as a 401(k). © Mark David/Getty Images A man working on his laptop. Online savings account. The best place for money you need in a moment’s notice is an online savings account, McBride says. Even though interest rates for online savings accounts are low – hovering around 1 percent – they “pay the best returns relative to the savings account offers among all the financial institutions,” he says. The returns currentlycompare to those of CDs, but without the early withdrawal penalties. © Spencer Platt/Getty Images A trader works on the floor of the New York Stock Exchange. © Johnnie Davis/Getty Images A man holds a credit card. 1. Paying down high-interest debt. 2. Saving for retirement in a tax-advantaged account, such as a 401(k) or individual retirement account. 3. Starting an emergency savings fund that covers six months of living expenses. Few Americans save abundantly for retirement. Whether due to financial issues or a lack of foresight, a lot of people either don’t give much thought to retirement or are unable to save up enough to help them fund their elder years. In fact, only 13 percent of people who haven’t retired yet say they’ve given a lot of thought to financial planning for retirement, according to the Report on the Economic Well-Being of U.S. Households in 2014 conducted by the Federal Reserve Board. Nearly 40 percent say they have given little to no thought to retirement planning. Mapping out your retirement takes more than asking yourself, “When should I retire?” Consider these seven questions to help you better plan for financial and personal obstacles in retirement. 1. What kind of lifestyle do I want? © Blend Images/REX If you’re married, you’ll need to speak with your spouse to make sure your retirement plans are aligned. Before you try to figure out how much money you need to retire, you need to consider what sort of lifestyle you want to have in retirement, said John Sweeney, Executive Vice President of Retirement and Investing Strategies at Fidelity. Do you want to stay in your current home or downsize? Will you want to move to a bigger city or someplace warmer? Maybe you want to travel the world. No matter how you envision your retirement, you’ll need to plan ahead to fund it. Depending on your goals, you might need to save more than you originally planned. If you’re married, you’ll need to speak with your spouse to make sure your retirement plans are aligned. 2. What will my expenses in retirement be? Sweeney said most people can expect to spend about 85 cents in retirement for every dollar spent before retirement. Depending on your health, however, you might need to save more to cover medical expenses. If you have a chronic condition or have mobility issues, over time you might end up needing to spend more money to maintain your quality of living. To help you project rough estimates of your retirement costs, you can use an online retirement income calculator. With a financial planner, you can get a detailed cash-flow analysis and help managing taxes. 3. Will I have enough savings to cover my expenses? Less than half of all workers say they’ve ever tried to calculate how much money they will need to save to live comfortably in retirement, according to The 2015 Retirement Confidence Survey conducted by the Employee Benefit Research Institute. Scott Bishop, Director of Financial Planning at STA Wealth Advisors in Houston, recommends comparing your current monthly expenses with how much income you’ll have in retirement. If your retirement savings can’t sustain your mortgage, insurance and other typical costs, you might want to reconsider your current savings plan. You will also want to calculate your Social Security benefit to determine how it will affect your monthly budget. When considering whether you’ll have enough income in retirement, assume you’ll be in retirement for 25 years and have access to four percent of your savings annually. In retirement, you’ll want to revisit your withdrawal percentage, adjusting for your actual spending, said Bishop. Your retirement portfolio, which should include numerous asset types, should also be structured to outpace inflation. Sweeney recommends you have a mix of stocks — about 55 percent — in your early years of retirement to maintain growth, and fixed income, such as bonds, to guard against market volatility. 4. What impact will taxes have on my retirement income? Up to 85% of your Social Security benefits might be taxable if you have income in addition to your benefits. Withdrawals from tax-deferred retirement accounts, such as traditional IRAs and 401(k)s, are also taxed. So, if you need $5,000 a month to cover expenses in retirement, you might need to withdraw up to $6,000, thanks to taxes, Bishop said. Higher-income taxpayers will have to pay taxes on profits from the sale of stocks, bonds, mutual funds and other investments not held in a tax-deferred retirement account. States have their own rules for taxing retirement income, so depending on where you live, you could be hit with an above-average tax bill. The states that impose the highest taxes on retirees include California, Connecticut, New York, Oregon, Rhode Island and Vermont, according to a 2014 analysis of state taxes conducted by Kiplinger, a publisher of business forecasts and personal finance advice. A financial planner can help you figure out how taxes will impact you in retirement and what strategies you can use to minimize your tax bill. 5. Where will I get my health care? Chances are your employer won’t continue providing health care coverage for you in retirement. Only 28% of companies with 200 or more employees offer retiree health coverage, according to the 2013 Kaiser/HRET Survey of Employer-Sponsored Health Benefits. You are eligible for Medicare when you turn 65. You likely won’t need to pay a premium for Medicare Part A, which covers inpatient hospital stays, care at nursing facilities, hospice care and some home health care. If you want extended health benefits, however, you’ll need to pay a monthly premium for Medicare Part B, which covers most doctors’ services and outpatient services. Medicare Part B typically costs around $104.90. If you retire early, you’ll have to get an insurance policy on your own. Couples who retire at 62 can expect to pay $17,000 a year for health insurance premiums and out-of-pocket costs until they’re eligible for Medicare, according to Fidelity. A retiree can expect to pay an average of $220,000 in medical expenses over the course of their retirement. You also need to factor in long-term medical care, which could wipe out your retirement savings if you’re not prepared. The median annual cost of care in an assisted living facility is $43,200, and the average cost of a private nursing home room is more than double that, according to the Genworth 2015 Cost of Care Survey. To curb these types of costs, you can look into long-term care insurance. 6. How much debt do I have? The more debt you carry into retirement, the more retirement income you’ll need to pay off what you owe. When you’re deciding when to retire, you need to figure you how long it will take to pay off your existing debts. You should pay off any high-interest debts that aren’t tax-deductible first, such as credit card debt, said Bishop. If you have good credit, refinance any high-interest debt that’s tax-deductible, such as a mortgage, to get the lowest rate possible. 7. Am I emotionally ready to retire? Ask yourself what you will do once you retire. If you don’t know — and most people don’t — you might have a problem, said Bishop. Few people still have the traditional view of retirement of doing little more than playing shuffleboard all day. In fact, only around 22 percent of people surveyed by the Federal Reserve Board say they plan to stop working entirely in retirement. You need to figure out before you retire whether you want to continue working in some capacity. If you initially choose not to work in retirement, you might have a harder time becoming employed after being out of the workforce for a while. Deciding to retire, much less knowing how to map out a retirement plan, takes work and careful thought. Consider meeting with a financial planner to help you determine how to decide when to retire and to create an action plan for retirement. Knowing how and when you will retire will allow you to look forward to retirement. What’s the Difference Between an Index Fund, an ETF, and a Mutual Fund? A: An easy way to think about it is this: Exchange-traded funds, or ETFs, are a subset of index funds; and index funds are a subset of mutual funds. “It’s like a funnel,” says Christine Benz, director of personal finance at fund tracker Morningstar. Let’s start with the broadest of the three categories: mutual funds. A mutual fund is a basket of stocks, bonds, or other types of assets. This basket is professionally managed by an investment company on behalf of investors who don’t have the time, know-how, or resources to buy a diversified collection of individual securities on their own. In exchange, the fund charges investors a fee, which may run around 1% of assets annually or more. That means $100 for every $10,000 you invest. But “active management” isn’t the only way to run a mutual fund. An index fund adheres to an entirely different strategy. Instead of picking and choosing just those stocks that the portfolio manager thinks will outperform, an index fund buys all the shares that make up a particular index, like the Standard & Poor’s 500 index of blue chip stocks or the Russell 2000 index of small-company shares. The aim is to replicate the performance of that entire market. But because index funds buy and hold rather than trade frequently — and require no analysts to research companies — they are much cheaper to operate. The Schwab S&P 500 Index fund, for example, charges just 0.09%, or $9 for every $10,000 you invest. By definition, when you own all the stocks that make up a market, you’ll earn just “average” returns of all the stocks in that market. This raises the question: Who would want to settle for just “average” performance? As it turns out, plenty of investors around the world. While it’s counter-intuitive, academic research has shown that the higher expenses associated with active management and the inherent difficulty of picking winning stocks consistently over long periods of time means that most funds that aim to beat the market actually end up behind in the long run. “In general, active funds have not delivered impressive performance,” Benz says. Indeed, S&P Dow Jones Indices has studied the performance of actively managed funds. Over the past 10 years, less than 20% of actively managed blue chip stock funds have outperformed the S&P 500 index of blue chip stocks while fewer than 15% of small-company stock funds have beaten the Russell 2000 index of small-cap shares. Okay, index funds sound like a good bet. But what type of index fund should you go with? Broadly speaking, there are two types. On the one hand, there are traditional index mutual funds like the Vanguard 500 Index. Then there are so-called exchange-traded funds, such as the SPDR S&P 500 ETF (SPY). Both will give you similar results, but they are structured somewhat differently. For starters, with a mutual fund, you often buy and sell shares directly with the fund company. The fund company will let you trade those shares once a day, based on that day’s closing price. ETFs, on the other hand, aren’t sold directly by fund companies. Instead, they are listed on an exchange, and you must have a brokerage account to buy and sell those shares. That convenience typically comes at a price: Just like with stocks, investors pay a brokerage commission whenever they buy and sell. That means for small investors, traditional index mutual funds are often more cost effective. “If you are on the hook for trading costs, that can really eat into your returns,” says Benz. On the other hand, because they are exchange traded, ETF shares can be traded throughout the day. Being able to trade in and out of funds during the day is a convenience that has proved popular for many investors. For the past decade exchange-traded funds have been one of the fastest growing corners of the fund business. Poor gold bugs. Everywhere they turn, another can of Raid. For contrarians, about all we need now is the classic negative magazine cover to confirm it’s time to buy gold. But really, there’s no need to wait for that. Sentiment is already gloomy enough. It’s time to buy gold — at the very least for the bear market rally that will soon take the metal 10% to 30% higher, say several gold experts. The bullish percent index, an indicator that measures the number of stocks in a group that are in a bullish trend, was recently at zero for gold miners. “People are gratuitously ganging up against gold,” says John Hathaway, manager of the Tocqueville Gold Fund . To him, the current price smackdown is “symptomatic” of a tradable bottom. “You see this supreme confidence that you can’t lose by being on a certain side of a trade.” That would be betting against gold. “Capitulation in the gold miners is telling us the selling should be over soon,” says Lawrence McDonald, head of U.S. macro strategy at Societe Generale. “We are witnessing seller exhaustion, and we don’t believe the recent breadth of the selling is sustainable.” He’s betting on another bear market rally. And soon. Credit Suisse gold analyst Anita Soni says gold is poised for a rally in the third and fourth quarters because the bearishness is overdone. She puts the trading range at $1,100 to $1,300 per ounce over the next several quarters. Besides the tradable bounce, you might also want to take advantage of low gold prices to put some in your portfolio as a form of disaster insurance. More on that logic in a moment. Meanwhile, get exposure via gold mutual funds like Hathaway’s Tocqueville Gold Fund, or a gold exchange traded fund like SPDR Gold Shares . Gold miners are down even more than gold, so that’s a good way to go, too. Consider the Market Vectors Gold Miners ETF . I also suggest several individual gold-mining stocks favored by Goldman Sachs, at the end of this column. Before we get to those companies, click ahead to see four reasons you have to buy gold now. News headlines are a great way gauge sentiment, to line up contrarian plays. But there’s no shortage of quantitative measures for gold, too. The short position, which measures the depth of the bet against it, is very high, points out Rohit Savant, the director of research at CPM Group, a commodities-research firm. He says investors were short 16 million ounces of gold as of July 21, 2015, compared with an average of 3.9 million since 1995. The last time the short position was that high — near record levels — was July 2013, and that was promptly followed by a 36% surge, according to analysts at Barclays. The bullish percent index (BPI), a technical indicator that measures the number of stocks in a group that are in a bullish trend, was recently at zero for gold miners. That marked good entry points for gold in 2008, 2013 and 2014, points out McDonald. “This has been a good ‘buy’ signal indicator,” he says. A measure called the Daily Sentiment Index recently put gold bulls at just 10%, says Hathaway. “That’s, for sure, an extreme,” he says. He also cites high levels of outflows from gold funds, and lots of asset divestitures by mining companies trying to right their balance sheets — two other events that can mark the bottom for gold prices. The bottom line: Investors have yellow fever. They are sick of gold. Good time to buy. © Adrianna Williams/Getty Images Two gold eggs on pile of cash. Typically when the dollar goes up, gold weakens. The dollar has been quite strong again lately, which helps explains gold’s plunge. But many analysts think the dollar is at an extreme peak that will reverse, too. If so, gold will strengthen. But why will the dollar weaken? Let’s look at two theories. One holds that the Federal Reserve worries a lot about dollar strength, because it’s bad for U.S. growth. A strong greenback makes exports more expensive. It makes foreign goods more attractive. It cheapens the reported value of overseas profits earned by U.S. companies. To knock down the dollar, the Fed may well push out interest rate increases currently expected by consensus for September, believes McDonald. If not, it might raise by much less than the expected quarter percentage point. Either of those scenarios would weaken the dollar and support gold. Wells Capital Management chief investment strategist James Paulsen also expects the dollar to weaken, but for different reasons. He thinks stimulus programs in Europe and emerging market economies are kicking in. As they boost growth, they’ll attract investment interest in those regions, and bid up their currencies against the dollar. Two different scenarios. Both lead to a weaker dollar and higher gold prices. © Eugene Hoshiko/AP Photo A visitor touches Italian-American artist Arturo Di Modica’s Charging Bull statue, which is a similar version of his Wall Street Bull in Shanghai, China. One country to watch in particular is China, since its robust growth in the past 15 years played a big role in creating the commodities “super-cycle” — the sustained bull market in commodities for years. Now, though, one of the chief reasons commodities, including gold, are so weak is investors’ angst that China’s growth will continue to cool. But if Paulsen is right that China’s growth is bottoming and about to pick up, that’ll reverse the negative sentiment toward commodities and put a bid under them. Including gold. “China purposefully tried to slow its economy down in 2011. It was successful in that policy pursuit,” says Paulsen. “China really didn’t try to get its economy going until late last year,” he says, referring to government stimulus programs. “A year lag is normal.” The economy also gets a boost now from lower energy prices. Indeed, now China’s growth is starting to improve. Recent data show either a stabilization or pickup in indicators like retail sales, exports, fixed asset investment, industrial production and exports. Those results “are consistent with stronger-than-expected money growth and credit expansion, suggesting the earlier policy-easing measures have started to take hold,” agrees Barclays analyst Jian Chang. © Sukree Sukplang/Reuters Shopkeeper inspecting gold jewelry. Historically, gold demand in China and India is strongest the fourth and first quarters, in part, because of buying related to religious holidays. The current low gold prices will also spark demand by people in both countries looking to pick up gold as an investment, or to protect against currency depreciation, says Credit Suisse’s Soni. Rising incomes in those countries will also add to higher demand for gold jewelry. Besides gold ETFs and mutual funds, it makes sense to focus on gold miners because their stocks have sold off much more than the metal. Goldman Sachs analyst Andrew Quail has “buy” ratings on Goldcorp , Barrick Gold , Stillwater Mining and Silver Wheaton , a play on mine royalty income. Quail has 12-month price targets on all those stocks anywhere from 70% to 140% above current levels. McDonald, at Societe Generale, doesn’t think you should wait that long if you buy gold miners now. He suggests selling right away into the bear market rally he expects to play out in the coming several weeks. But holding at least some gold as portfolio insurance also makes sense. That’s because gold does well as a flight-to-safety play in a crisis. What might go wrong in the world? Anything, of course. But here are three scenarios. Next, heightened central-bank lending and government-spending programs around the world could finally spark inflation. Inflation typically makes gold move higher, as investors buy it as a store of value. And don’t forget that the current level of global central bank borrowing to save us all from the 2008 financial crisis represents an unprecedented policy experiment. By definition, this means there’s no playbook that tells us how they’ll get out of it. Sure, it could all end well. But if you think you know that for sure, you’re a dreamer. “Nobody knows how this is going to end,” says Hathaway. How much gold and gold-mining stocks should you own as a hedge against disaster? Around 5% to 10% of your portfolio, says Matthew McLennan of First Eagle Investment Management. Less than 5%, and it’s not a hedge. More than 15% and it’s a directional bet, he says. Once seen as a golden opportunity, big-money investors are now scrambling to keep their bets on Puerto Rico whole. Hedge funds, mutual funds and other investors piled in over the last two years, thinking others had overreacted to the island’s fiscal problems by dumping local bonds. But the value of their debt holdings fell sharply early this week on a string of bad news. The U.S. territory’s governor surprised observers by saying its $72 billion in debts weren’t payable. The White House explained that it was not contemplating a bailout. Ratings agencies cut their assessments of Puerto Rican bonds. And a report by a group of former International Monetary Fund officials detailed just how bad the island’s fiscal problems are. 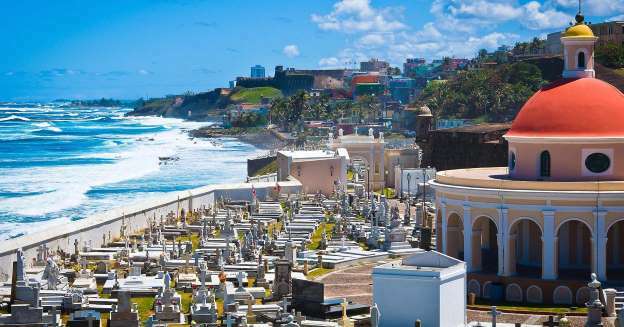 “The coming weeks will bring showdowns between … the governor and bondholders, and out of the rubble, we expect the PR government to emerge leaner, having shed some debt and restructured some operations,” Height Securities said in a report Monday. In other words, more observers think that hedge funds and other creditors should expect to accept less than face value for the bonds they own. Some Puerto Rico bonds were trading at 68 cents on the dollar Tuesday. The bad news doesn’t mean investors are giving up. Two bands of mostly hedge fund bondholders continue to put pressure on local officials. They still hope to come up with a deal that gives Puerto Rico the money it needs to fund its operating budgets and, at the same time, provide a profit for investors. The negotiations are now more urgent giving looming deadlines: a total of $1.9 billion in various bond payments, including general obligation debt, are due on July 1, according to a market participant. The largest band of investors owns different types of government-backed bonds. A year old, the so-called Ad Hoc Group is made up of 35 members and represents $4.5 billion in Puerto Rican debt holdings such as GO bonds, seen as having the best chance of a full payment. Not all the investors in the group are disclosed, but its steering committee—those that actively negotiate with the government—are Fir Tree Partners, Centerbridge Partners, Davidson Kempner Capital Management, Stone Lion Capital Partners, Brigade Capital Management and Monarch Alternative Capital. There was no comment Monday or Tuesday, but the group wrote in a letter on June 24 that it wanted to meet with government officials and “be part of the solution to the Commonwealth’s fiscal challenges.” The Government Development Bank for Puerto Rico, which represents the other side, declined to comment. The other investor alliance is holders of bonds from the Puerto Rico Electric Power Authority, or PREPA. Also called an ad hoc group, it includes hedge funds Knighthead Capital Management, Marathon Asset Management, Goldman Sachs Asset Management, D.E. Shaw Group, BlueMountain Capital Management, Angelo, Gordon & Co. and large mutual fund investors Franklin Templeton and OppenheimerFunds. Together the group holds about 40 percent of the utility’s bonds, or around $3 billion worth. Insurers such as MBIA (MBI) and Assured Guaranty (AGO) also have significant exposure to PREPA bonds and their stocks were hammered this week as a result. The group negotiated with PREPA officials Monday, according to a person familiar with the situation, but no solution had been reached. PREPA owes about $400 million in a bond payment Wednesday, and a short-term deal could push the negotiating deadline forward in the hopes of a more comprehensive restructuring. Past extensions have been for 30 days. A spokesman for PREPA bondholders declined to comment, and a representative for PREPA did not respond to a request.